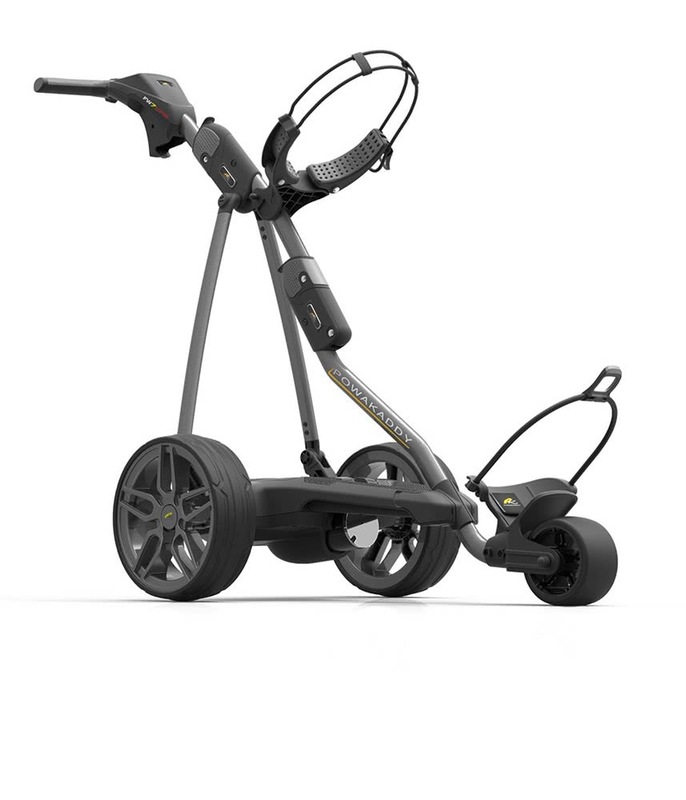 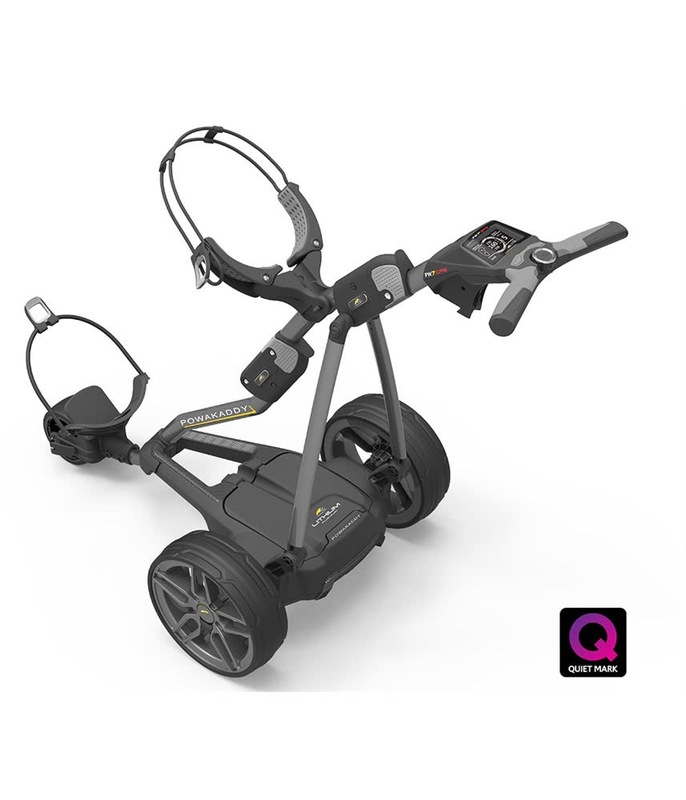 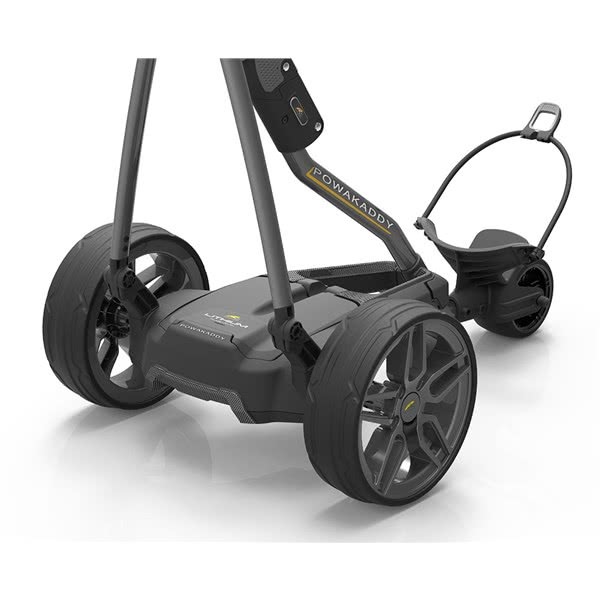 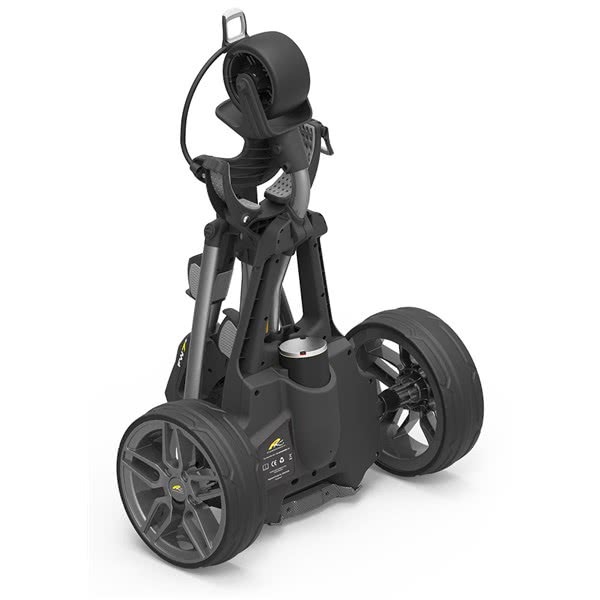 The Powakaddy FW7s GPS Electric Trolley has a fully integrated GPS unit to help plot your way around the golf course. 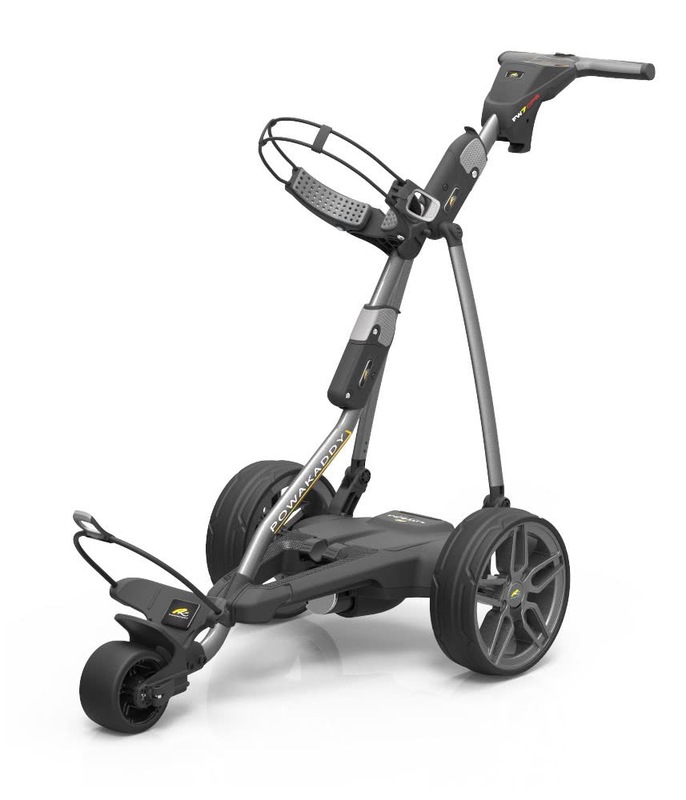 Powakaddy have used a high contrast widescreen display, featuring over 35,000 worldwide courses. 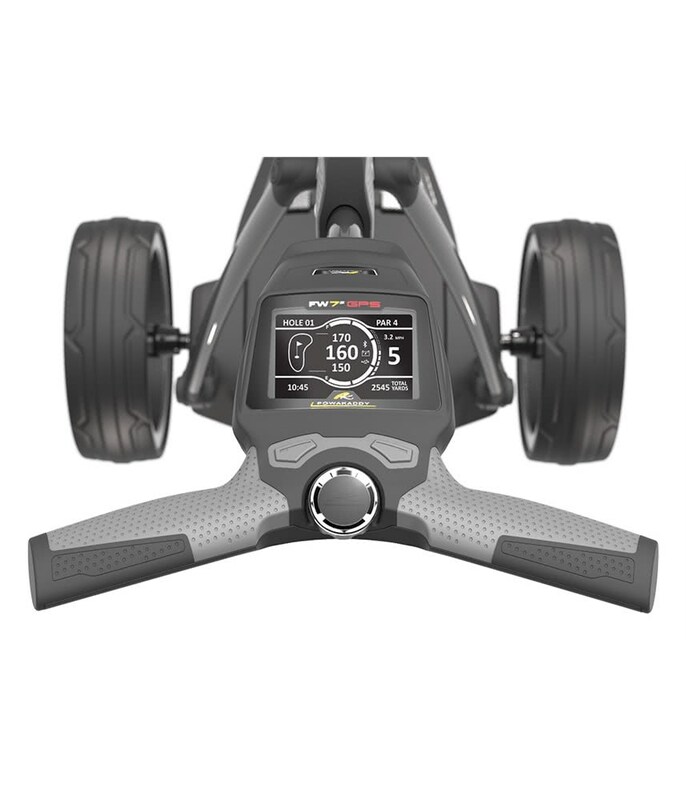 In GPS mode the screen will display all the usual trolley controls plus a scorecard to track your scores. 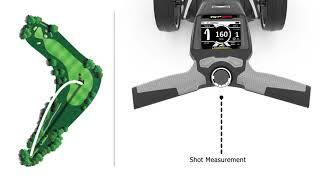 You can even track your shot distance from the tee with the GPS function. 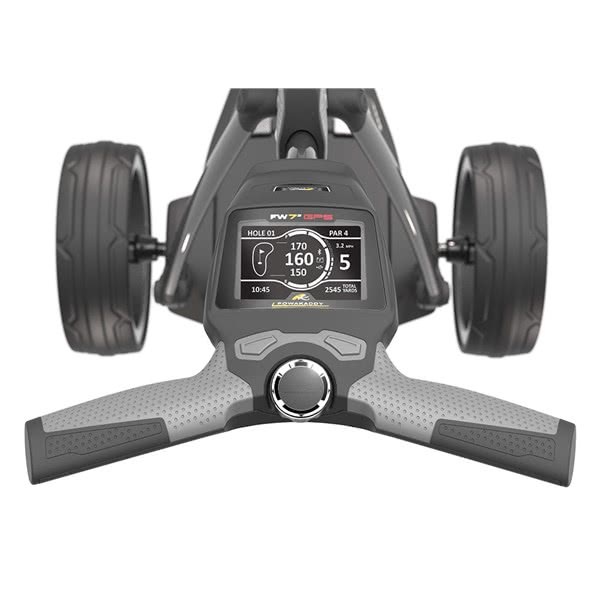 Clear and accurate distances will then show you to the front, middle and back of the green you are playing to, as well as delivering fast distances to any hazards on your way. 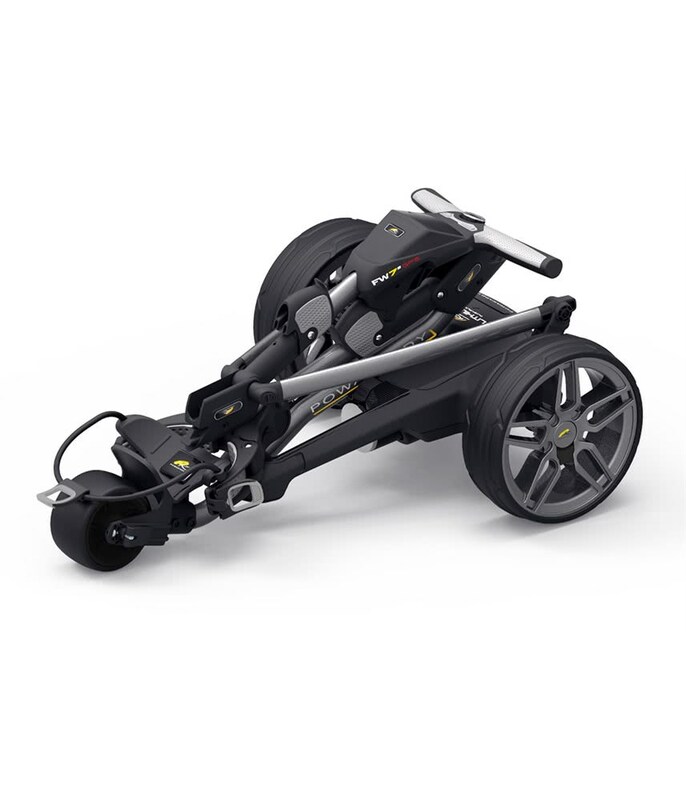 The performance of the FW7s is exactly what you would expect from their premium trolley. 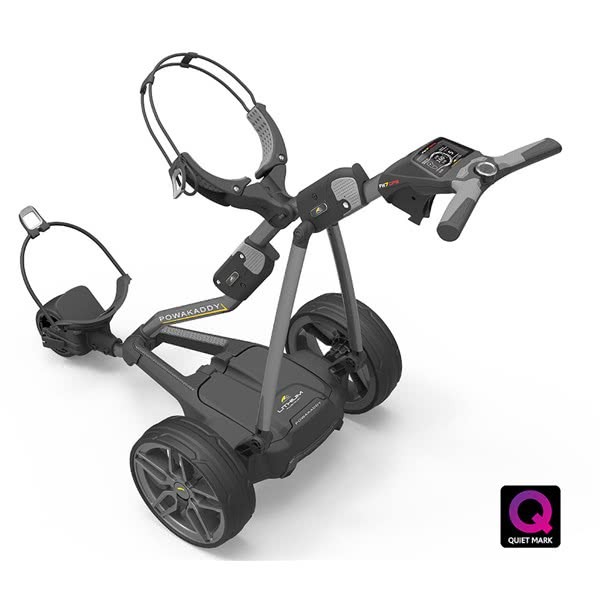 You receive everything from a round timer, competition mode, calorie counter, speed display and the usual battery fuel indicator. 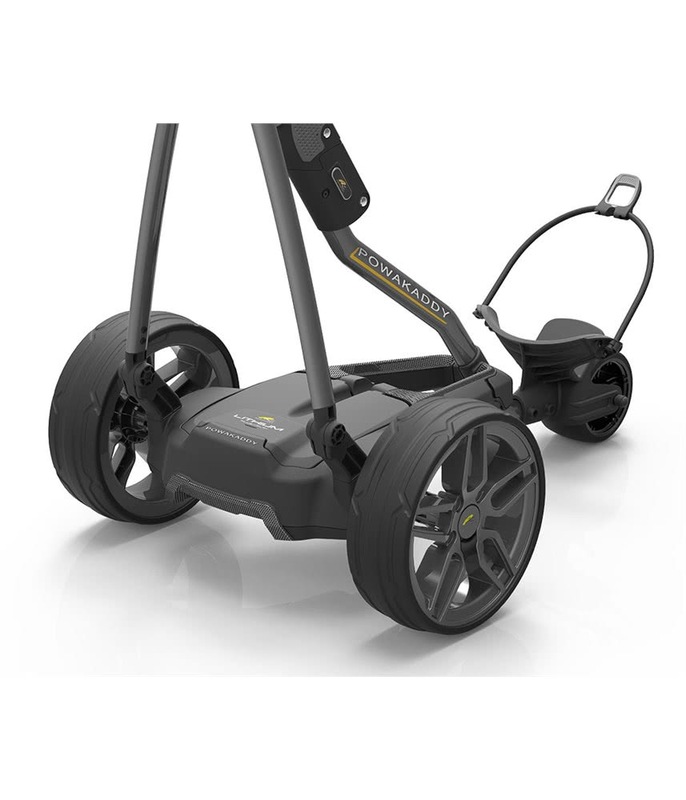 The automatic distance function will allow you to send the trolley 15/30/45 yards without assistance. 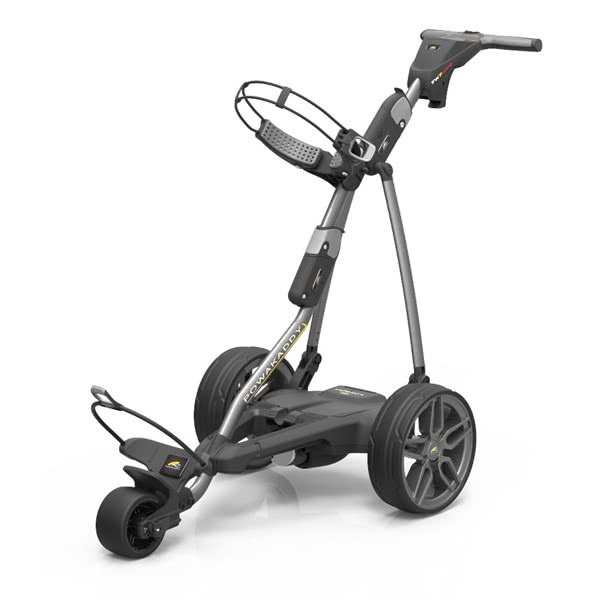 On the FW7s you also get a Anti-Tamper Security Pin Lock that will lock your trolley until you need it. 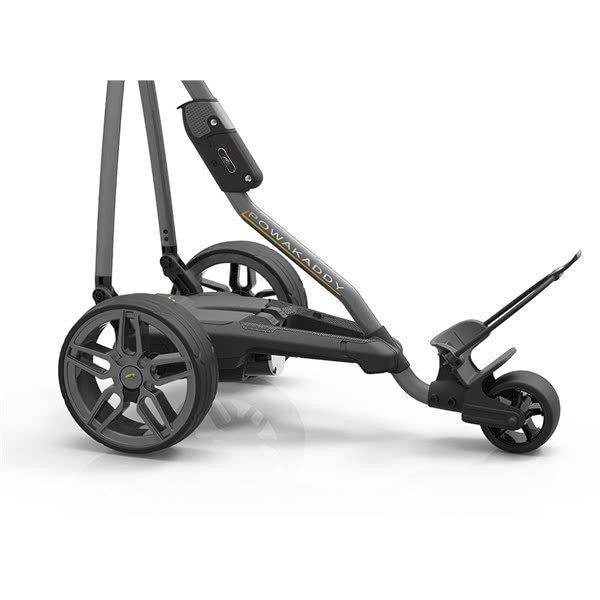 A three-fold system allows the trolley to fold up nice and compact for when it is not in use. 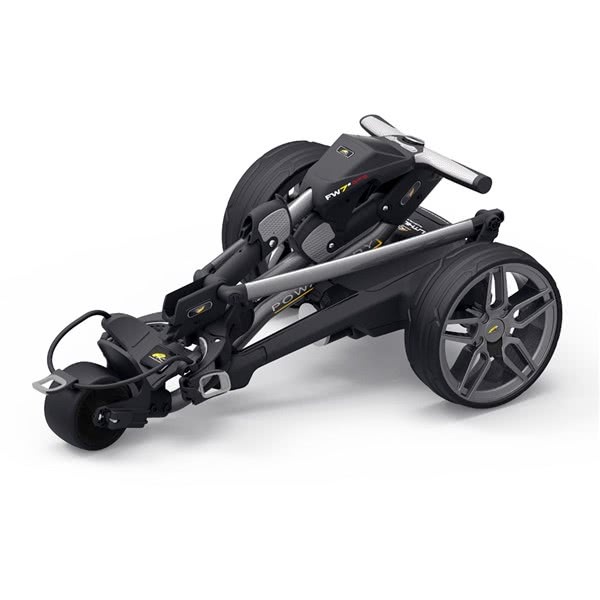 This design also allows the trolley to be unfolded in seconds and is absolutely hassle-free. 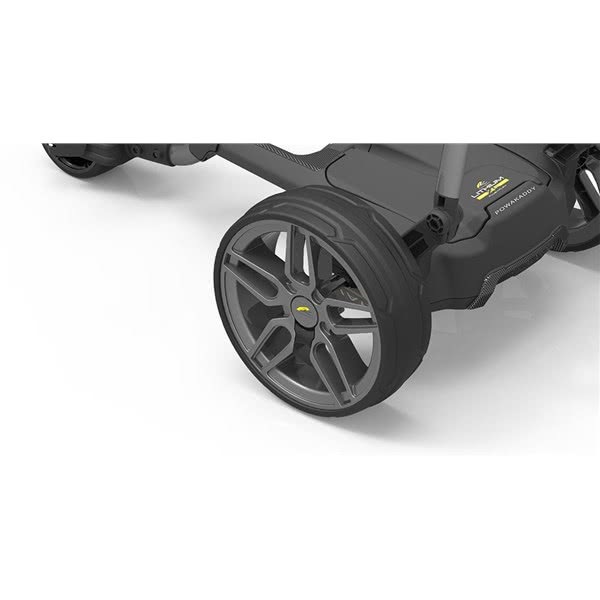 Powakaddy have used their high performance low profile PowaFrame chassis and their new Honeycomb trims to deliver a stylish, sleek and sporty look. 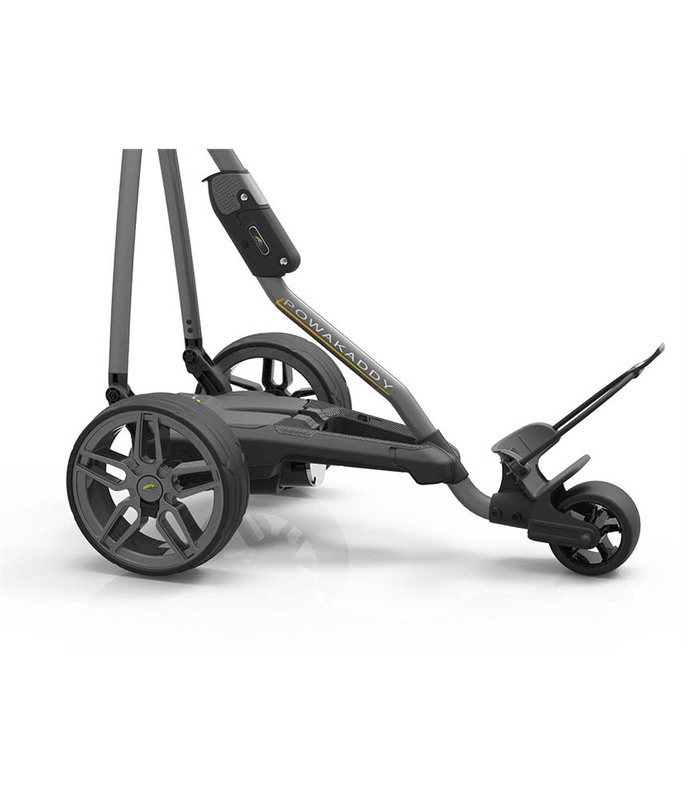 The unique Plug ‘n’ Play battery drops into a tray on the chassis and does away with any wires and connections. 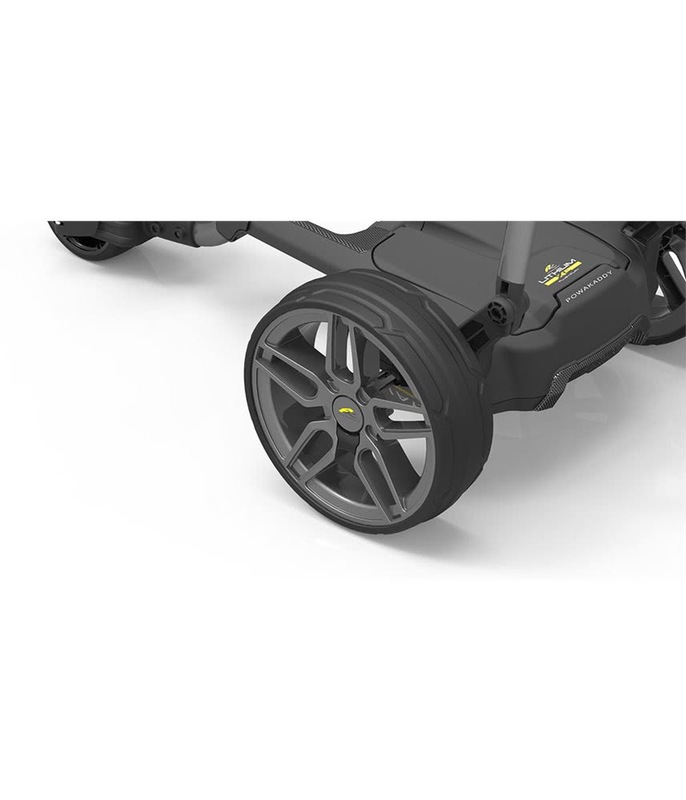 To increase performance a front tracking wheel will allow you to adjust the ride to get a straight run. 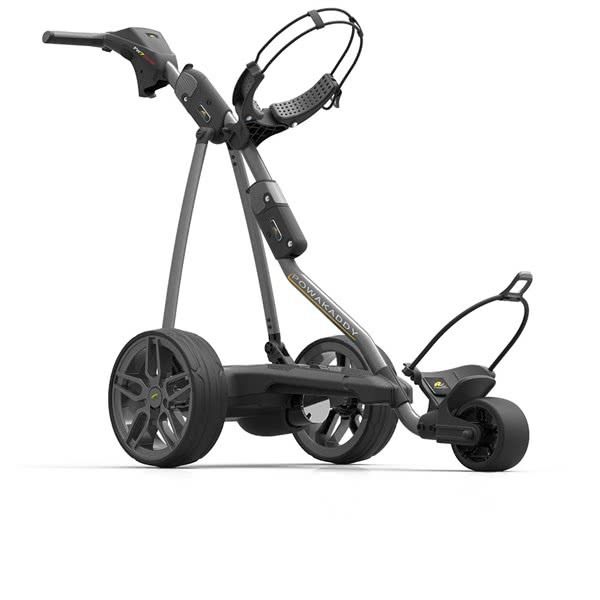 Powakaddy’s base key lock system will securely fit the bag onto the trolley and to ensure the perfect fit upper and lower bungees have been used. 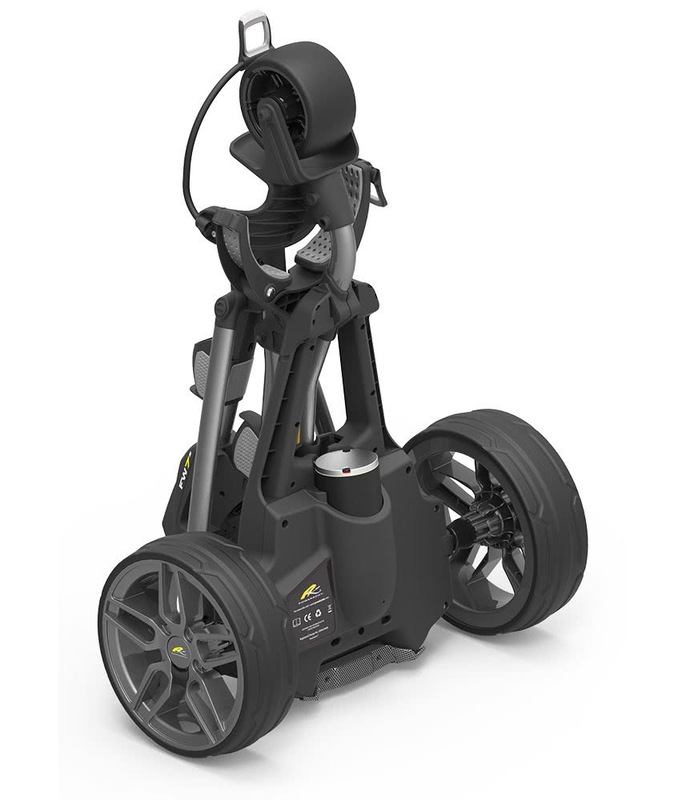 ADF - Automatic Distance Function Send your trolley to the next hole with Automatic Distance Function - variable from 5 to 50 yards.